My friend Emily lives in Uganda, a 6-foot-tall white girl in East Africa. She has a tattoo on her wrist, on the outside part that would be facing down if you shook hands with her. People ask her about it out of the blue. Sometimes she forgets it’s there and has to bend her arm and crane her neck to look at it before she answers. “How then shall we live?” it asks. It’s a question that, taken seriously, is impossible to answer fully. Because a full answer would require a full understanding of the universe and our place in it, something no physicist, philosopher or theologian of any merit would claim. Nonetheless, it’s a question worth pursuing. And especially now, as there is no historical precedent for many of the choices we face. Those of us in rich countries live in a strange new utopia, in which basic human needs, and many luxuries, are easier to come by than at any time in the history of the world. Seasons no longer dictate our diet, weather no longer threatens our comfort, even our own disabilities hinder us far less than ever before. But we are neither happy nor content with our historic windfall. And the massive, emergent, global system that delivers this ease of life is upsetting the fragile planetary balance that it is built upon. Consider climate change. 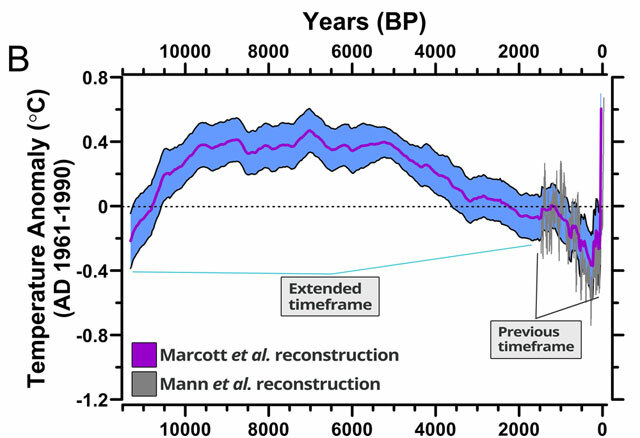 Recent data shows that the Earth is warming exponentially faster than it has at any time in the past 11,000 years, as far back as we can currently study. A few hundred years ago, mankind didn’t have the power to change our planet’s climate so dramatically. Today we do. We are. And we have no idea what the consequences will be. We live in an unprecedented age. Two hundred years ago there were only about a billion people on the planet. Fifty years ago there were only 3 billion. Today there are over 7 billion. Growth in population, consumption, and waste are so far beyond any historical example that the past is no longer a good predictor of our world’s future. Some of the smartest people around warn that, within a generation or two, our civilization will imperil itself, our excesses eroding the foundations on which we rest. There will be great turmoil—war, massive migrations, famine and drought. How do we make the choices that shape our lives when we don’t know what sort of world we’ll soon be living in? How do we plan for the unprecedented? These questions can not be answered fully or with complete certainty. But there seems to me one answer close to a certainty: that staying our present course is foolish. In the face of a mounting tsunami of evidence showing that our way of life is leading to its own destruction, continuing with that way of life, unexamined and unchanged, is a sleepy kind of madness. So what changes should we make? I see two basic routes here, both of which lead us in roughly the same direction. We can try to change our lives enough to avoid the worst effects of climate change and the other consequences of our global, industrial economy, or we can prepare for those consequences, learning the skills we will need to survive in an economically and environmentally turbulent time. Both routes lead us towards simplicity, towards weaning ourselves from consumption and living more lightly upon the planet. Both routes lead us towards locality, towards decreased use of cars and planes to transport ourselves and our necessities. Both routes lead us to learn the basic skills of human life: growing food; making, reusing and repairing the basic implements of our lives. Take my friend Emily. She grows some of her own food, makes her own bread, mends her own clothes. She doesn’t own a car. She recycles. She made me a case for my e-reader out of recycled plastic bags. If we all lived more like Emily, would we turn the tide on global warming and the rest? I don’t know. But we owe ourselves an answer to the question written on her arm. The way we’re living now will not last, and is cutting a shameful path of environmental destruction through history. How then shall we live? Amazing post James. Beautifully written, wise and full of truth. We are learning so many ways we can make small shifts in our lifestyle that we hope will be a great example for our kids and peers. Now how do we inspire the masses to do the same?? Still working in that one….Thank you for the thoughtful post. Thanks Ilea. It’s great how setting a trajectory towards sustainability and then taking even small steps in that direction can get you a long ways. Getting it to the masses? First we change ourselves, then we live honestly and openly. Truth has a way of spreading on contact.